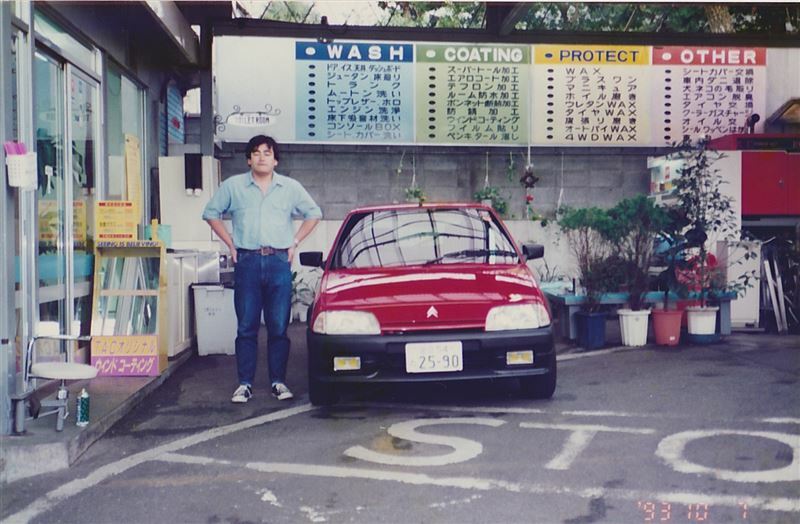 Honda established the world’s first process to reuse rare earth metals extracted from nickel-metal hydride batteries for new nickel-metal hydride batteries to recycle precious resources. 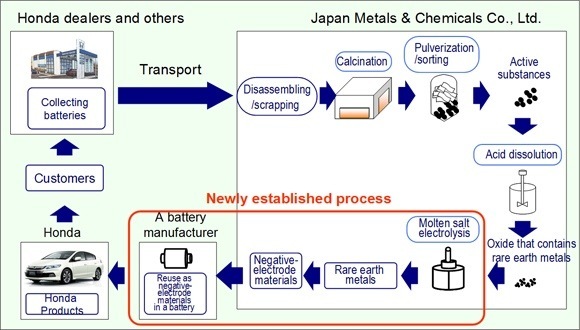 So far, Honda has been extracting an oxide containing rare earth metals from used nickel-metal hydride batteries at the plant of Japan Metals & Chemicals Co., Ltd. (JMC). Now, by applying molten salt electrolysis to this oxide, Honda has succeeded in extracting metallized rare earth that can be used directly as negative-electrode materials for nickel-metal hydride batteries. The rare earth metals extracted in this process has a purity of more than 99% which is as high as that of ordinary traded, newly mined rare earth metals. In addition, the new process enables the extraction of as much as above 80% of rare earth metals contained in nickel-metal hydride battery. Under the newly established process, the extracted rare earth metals will be supplied from JMC to a battery manufacturer in early March, which will reuse them as negative-electrode materials for nickel-metal hydride batteries for hybrid vehicles. 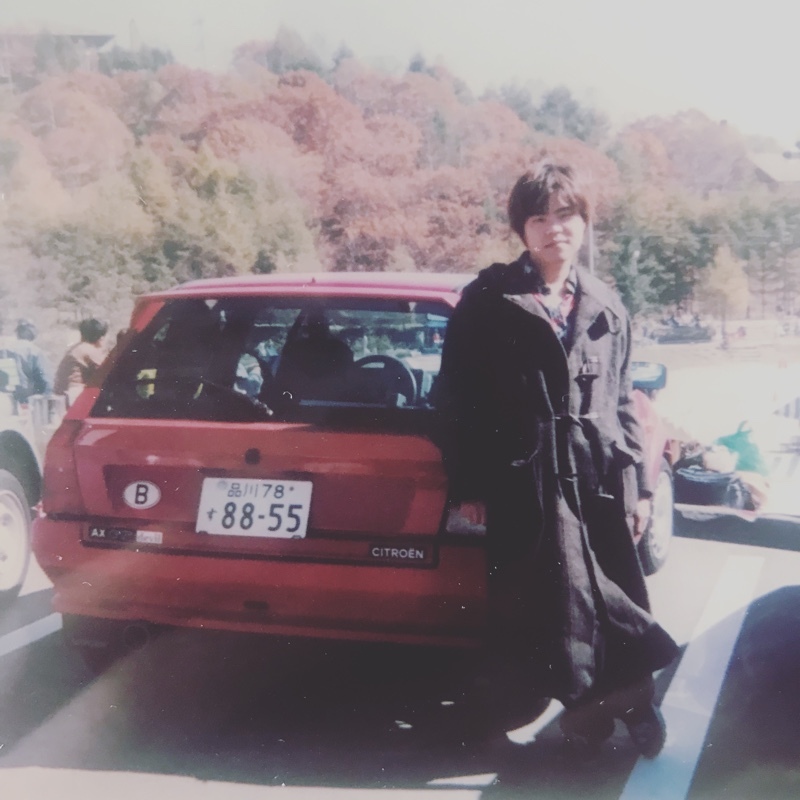 This time, the rare earth metals were extracted from nickel-metal hydride batteries collected from 386 Honda hybrid vehicles that were stored prior to being on sale but became unusable by the Great East Japan Earthquake. 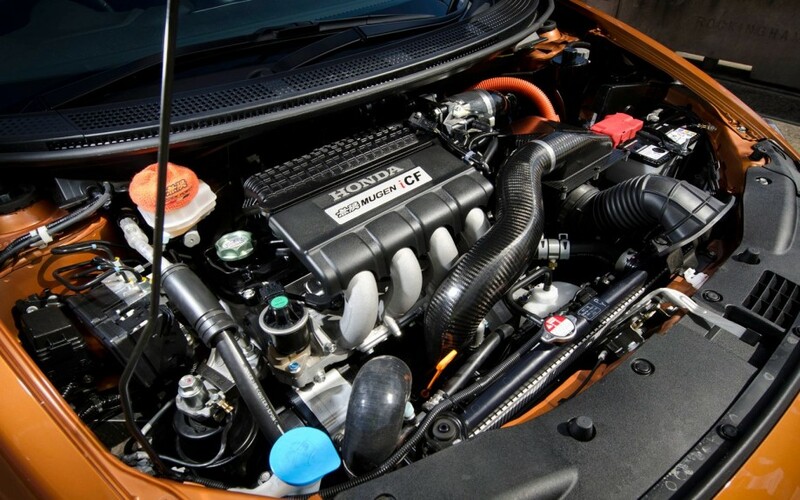 Further, as soon as a sufficient volume is secured, Honda will begin applying the same process and recycle rare earth metals extracted from used nickel-metal hydride batteries collected by Honda dealers through battery replacement. Honda strives to extract rare earth metals not only from nickel-metal hydride batteries but also from various used parts to achieve the further recycling of limited and precious resources. 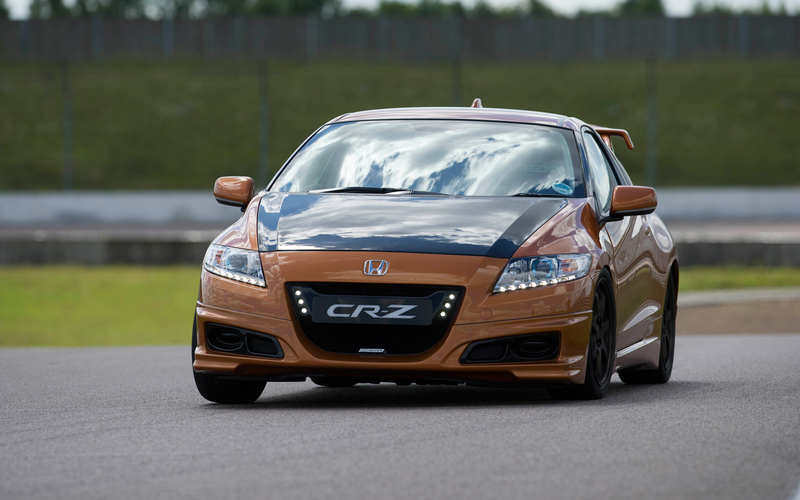 Honda will remain committed to reduce the environmental footprint of the mobility society as a whole by developing fuel-efficient vehicles including hybrid vehicles, and also by strengthening networks which lead to the reuse and recycling of Honda products. Charlie Yaeger is 97 years old. He has been driving for more than 80 years. 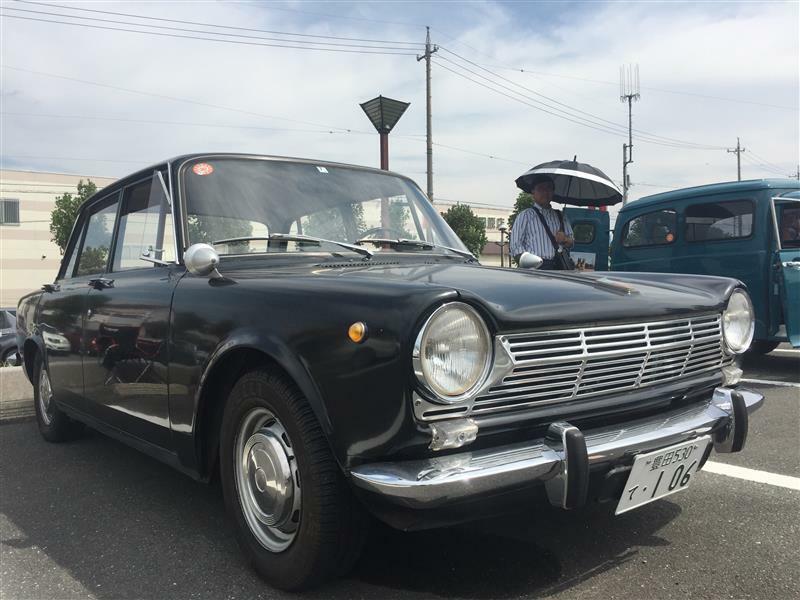 He has driven everything from a Ford Model T to Nissan Maxima to a 1916 Baker Electric. He is a testament to how history repeats itself. 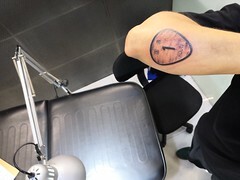 And how all change takes time. Charlie remembers when roads were hard to come by and gas stations even more sparse. “You had to pretty well memorize where the gas stations were and where you could get off the road and have a chance of getting back on after you repaired a tire,” said Yaeger. It took decades before U.S. President Dwight D. Eisenhower made it a priority to finish building infrastructure before World War II. Fast forward about 60 years to the present. Here is where history happens again. Nissan has sold more than 50-thousand pure-electric LEAFs. The sales signal a growing need for more EV charging infrastructure. This evolution has fewer hardships though. Instead of memorizing gas station locations like Yaeger did, Nissan LEAF drivers can use an app on a smart phone to find the nearest charger. And instead getting slowed down struggling to change torn tires like Charlie did, LEAF drivers in some states get a fast-pass to drive in the HOV lane. “Change always takes time. Change also requires the right convergence of things,” said MIT Professor Alex Pentland, director, Human Dynamics Lab. Electric cars are almost a century old to Yaeger; but, he says this latest electric vehicle, the Nissan LEAF, takes driving electric to a new level. “It will be another infrastructure evolution,” said Yaeger. This is the first in a series of video reports under the heading of “Growing the Grid.” It examines what is happening today with the U.S. plug-in charging infrastructure that will lead to mass market acceptance of EV technology. 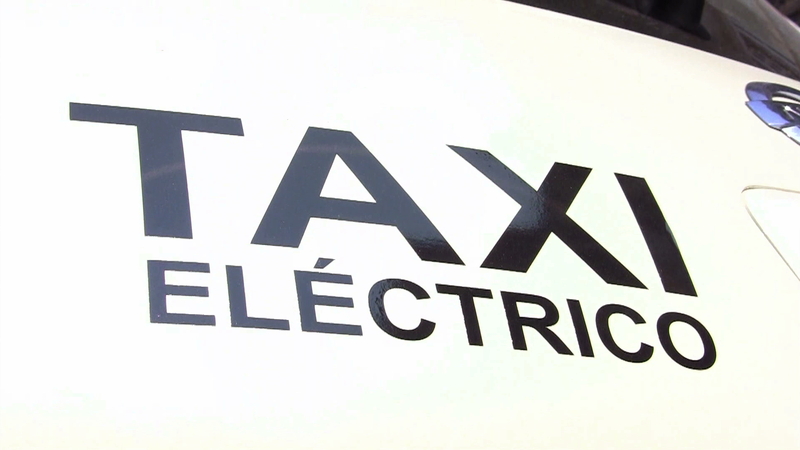 About 70 taxi drivers in Mexico have been driving fully electric Nissan LEAFs for more than a year now as part of pilot program to test zero-emission vehicles for mass transit. That means they have been picking up and dropping off passengers without ever stopping for gas. 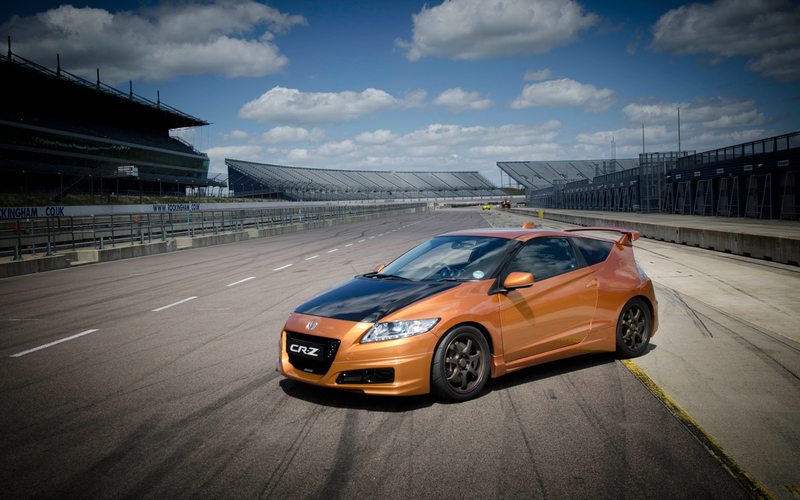 “The car is extremely easy to drive, a completely automatic car with no shifting of gears. 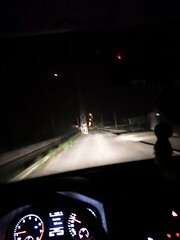 The steering is very soft with no problem whatsoever. The mirrors are functional. The seats are very comfortable. It is a new car,” said Mexico City LEAF taxi driver Cristóbal Reynoso. 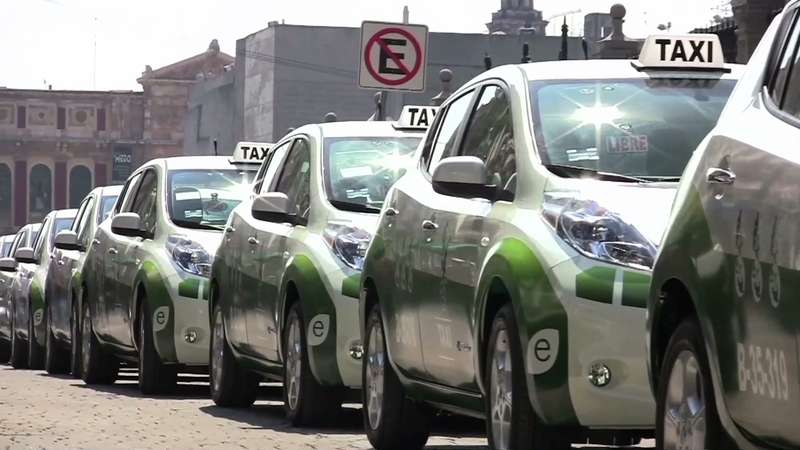 There are 20 Nissan LEAF taxis in central Mexico City and in another 50 in Aguascalientes. There also is a growing charging infrastructure to support operations of EV mobility in both locations – including a fast charger now in Mexico City. “The reaction is 100% positive, once again, because it is a new car, and there are only 20 Nissan LEAF in Mexico, a big difference. People ask you why is it so different compared to other cars, how do you charge it up, how many hours can you drive, how fast is it, how do we got to be chosen to drive it. 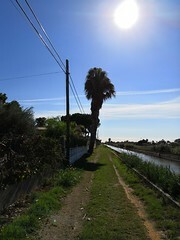 All these questions are very pleasant for me, so it is very fun,” said Reynoso. The LEAF is a five-passenger vehicle that gives instant torque. The power is there when you touch the pedal. There is no lag, no revving-up or shifting gears, it just goes. “I think the Mexican people have very good acceptance with the LEAF. I mean they are very proactive with electric cars, with green cars. They are very proud to be part of this kind of initiative here in Mexico,” said Alejandro Viveros, leader of the Zero-Emission Business Unit for Nissan Mexico, Latin America and the Caribbean. Nissan aims to make the LEAF available for public purchase in Mexico next year. The company is working with state, local and national governments to make that happen. “Mexico will be a key stakeholder in all the EV expansion for Nissan in the Americas,” said Viveros. “I think there should be more electric cars. This is only the beginning, the tip of the iceberg, and as time goes by there will be much more electric cars,” said Reynoso. 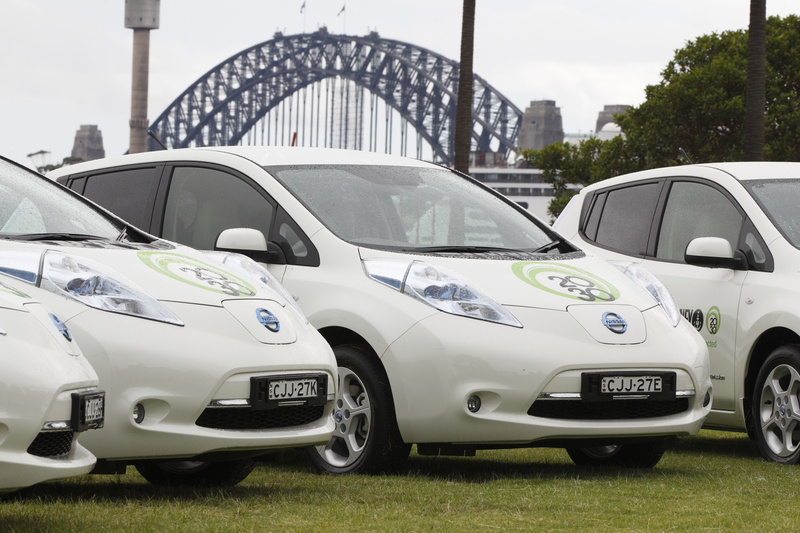 The City of Sydney has taken delivery of 10 Nissan LEAF electric cars, the single largest order of the award-winning electric vehicles in Australia. The order replaces its former fleet of 10 Toyota Prius petrol-electric hybrid cars, and will be used by a range of City employees, including building and health inspectors, town planners and engineers. “They represent the first mass-produced, zero tail-pipe-emissions vehicles on the planet. We are the number one provider of that. 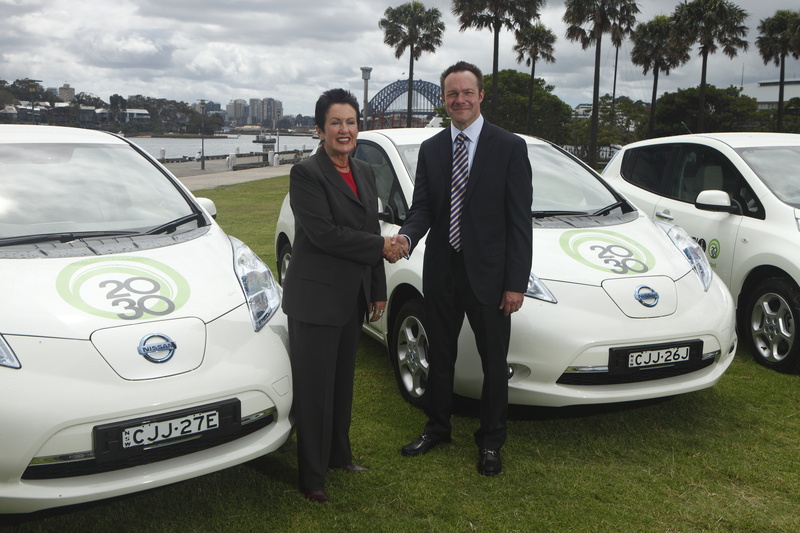 Really, there is no emission from this vehicle as it is going down the road,” said William F. Peffer Jr., Managing Director and CEO of Nissan Australia after handing the cars over to City of Sydney Lord Mayor Clover Moore. The City of Sydney became the first council in Australia to achieve formal certification as carbon-neutral under the National Carbon Offset Standard in November 2011, as a result of its benchmark greenhouse gas reduction programs. “The advantage of a car like this is, in terms of parking, it’s a real issue in the city, and reducing congestion. Congestion is currently costing us AUD$4 billion (USD $4.1 billion) a year, so we have to look at every possible way of reducing it,” said Moore. The City has installed seven electric charging stations at its public parking stations in Kings Cross and Goulburn Street. “The zero emissions technology, alternate fuel technology is here to stay and we are at the leading forefront of it. This represents not only our vision but the visions of other municipalities seeing the way we do it and trying to provide for a better future,” added Peffer Jr.. Carbon emissions from charging the electric vehicles will be offset by zero-carbon electricity produced by solar panels installed on City buildings. The City is installing 5,500 solar panels on 30 of its buildings, including Town Hall House, public buildings, major depots and additional solar panels for electric vehicle charging offsets, the largest building-mounted solar installation in Australia. “The other thing I hope it will do is to set an example to tiers of government, I’d like to see the federal government fleet in Canberra, I’d like to see the state government fleet in Macquarie Street using sustainable vehicles,” said Moore. The LEAF’s 24kWh lithium-ion battery can be recharged in seven to eight hours using a normal charger or in around 30 minutes using a quick charger. A trickle charge will replenish the battery in 16 hours. The Nissan LEAF comes equipped with a variety of advanced technologies, including the use of an in-built solar panel to assist in maintaining battery charge. Toyota Motor Sales (TMS), U.S.A., Inc., today reported June 2012 sales results of 177,795 units, an increase of 54.3 percent compared to the same period last year on a daily selling rate (DSR) basis. On a raw volume basis, unadjusted for 27 selling days in June 2012 compared to 26 selling days in June 2011, TMS sales were up 60.3 percent from the year-ago month. The Toyota Division posted June total sales of 157,773 units, an increase of 51.7 percent on a DSR basis from June 2011. On a raw volume basis, Toyota Division sales were up 57.5 percent from the year-ago month. For the first half of the year, TMS reported sales of 1,046,096 units. 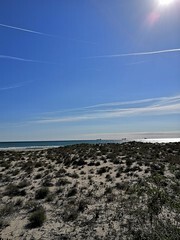 With 154 selling days in the first half of 2012, compared to 152 selling days during the first half of 2011, sales were up 27.0 percent on a DSR basis from the same period last year. On a raw volume basis, unadjusted for two extra selling days in 2012, sales were up 28.7 percent during the first half of the year. The Lexus Division reported total sales of 20,022 units in June 2012, up 79.0 percent from June 2011 on a DSR basis. Volume-wise, Lexus Division sales were up 85.9 percent compared to the same period last year. 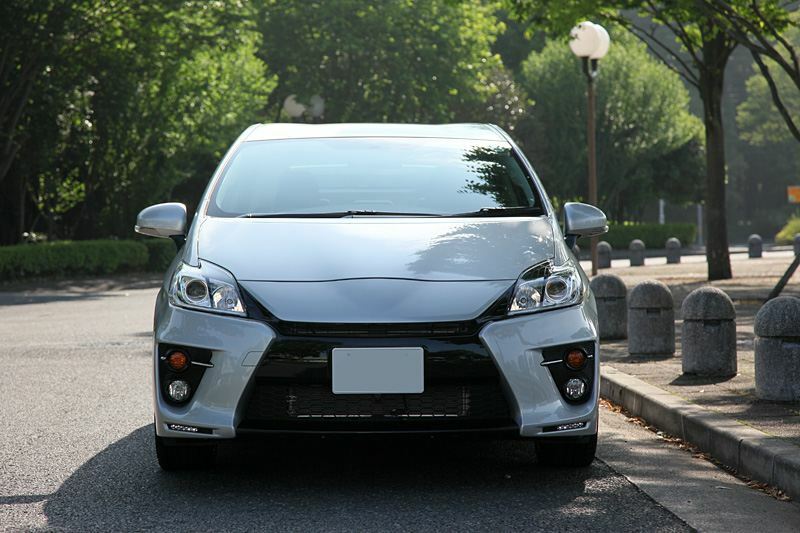 Toyota Division passenger cars recorded combined monthly sales of 90,079 units, up 68.1 percent from June 2011. 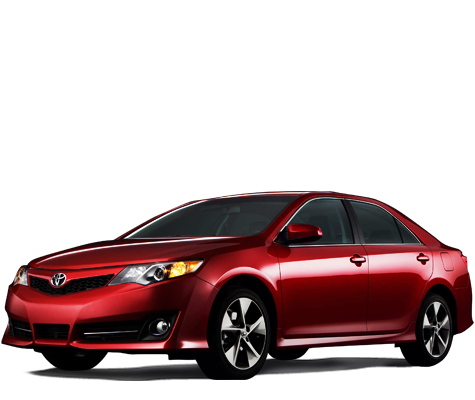 Passenger car sales were led by Camry and Camry Hybrid with combined sales of 32,107 units, and Corolla reported combined June sales of 26,647 units. 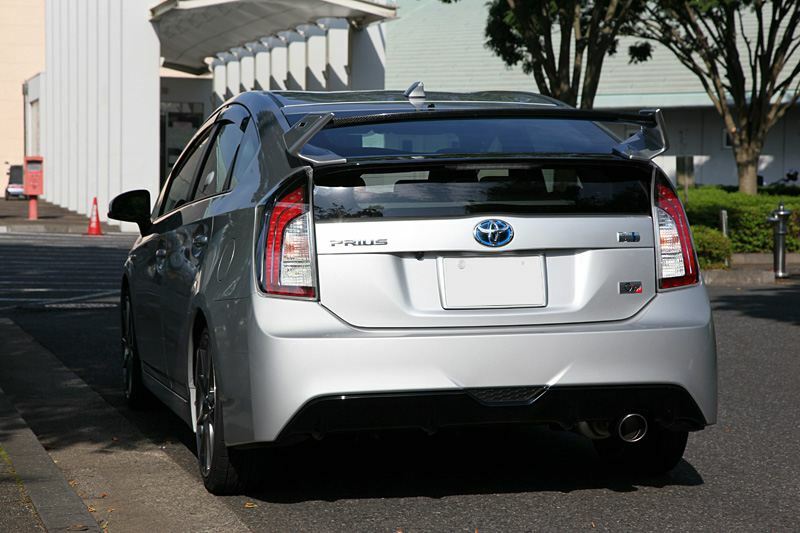 The Prius family of vehicles posted June sales of 19,150 units. Toyota Division light trucks recorded June sales of 67,694 units, an increase of 34.3 percent compared to the same month last year. Light truck sales were led by the RAV4 compact SUV and Tacoma mid-size pickup truck, with monthly sales of 15,129 and 11,864 respectively. Highlander and Highlander Hybrid reported combined sales of 10,379 units, and the Tundra full-size pickup reported sales of 8,693 unit. Scion posted June sales of 8,400 units, up of 134.1 percent over June 2011. The newly launched FR-S sports car led the way with sales of 2,684. 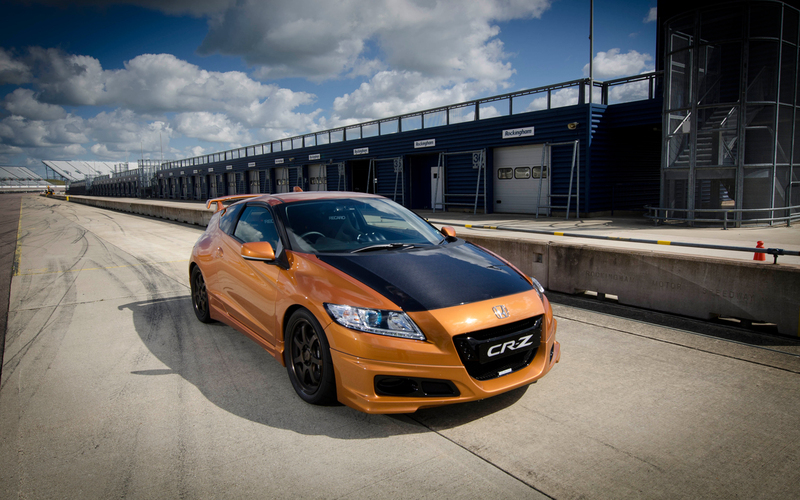 The tC sports coupe reported sales of 2,128 units, flat year-over-year. The xD five-door urban subcompact posted sales of 1,017 units, and the xB urban utility vehicle posted June sales of 1,869 units. The all-new iQ premium micro-subcompact posted monthly sales of 702 units. Lexus reported passenger car sales of 10,247 units, up 99.7 percent from June 2011. The ES 350 entry luxury sedan led Lexus passenger car sales with sales of 3,780 units, while the IS luxury sports sedan reported sales of 2,572 units. 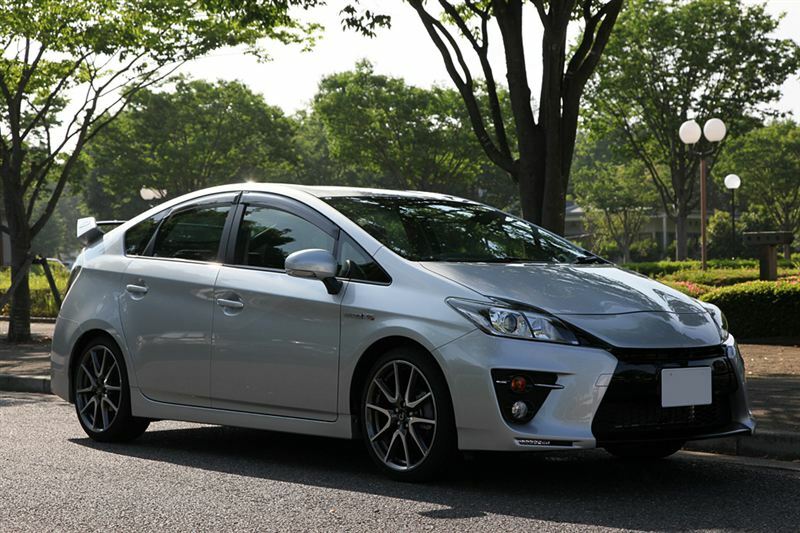 The CT 200h premium hybrid compact posted 1,387 units. Lexus luxury utility vehicles recorded sales of 9,775 units, up 61.4 percent over June 2011. Lexus light truck sales were led by the RX and RX Hybrid luxury utility vehicle, which posted combined June sales of 8,641 units. The GX 460 mid-size luxury utility vehicle reported sales of 808 units, while the LX luxury utility vehicle recorded sales of 326 units. TMS posted June sales of 25,776 hybrid vehicles, an increase of 335.2 percent compared to the same period last year. Toyota Division posted June sales of 23,105 hybrids, while Lexus Division reported sales of 2,671 hybrids for the month.